As the election season hots up, here's a look at some cricketers who tried luck in the political pitch. With the election season in full bloom, no section of society is left untouched by political fever. While Bollywood has seen many prominent personalities openly taking sides, cricketers have been more cautious in making their preferences known. Some, however, have decided to throw their hats in the ring. Every now and then, cricketers – present or past – have expressed opinions that can be considered political. But only a few have dared to enter the raucous arena of party politics. Let's look at some of the prominent cricketers who entered the political arena and openly declared their support for one party or another. Mansoor Ali Khan Pataudi, who captained India between 1962 and 1974, contested the Lok Sabha elections on a Congress ticket in 1991 from Bhopal. A loss there put paid to his political ambitions. Kirti Azad, who played for India from 1981 to 1986, is the son of former Bihar chief minister Bhagawat Jha Azad. After retirement, Kirti joined the BJP and was elected MP three times before being suspended from the party. He joined the Congress later. Hi problems in the BJP stemmed from his open spat with Arun Jaitley over the functioning of DDCA. Former India captain Mohammad Azharuddin joined the Cngress and contested elections from Uttar Pradesh. 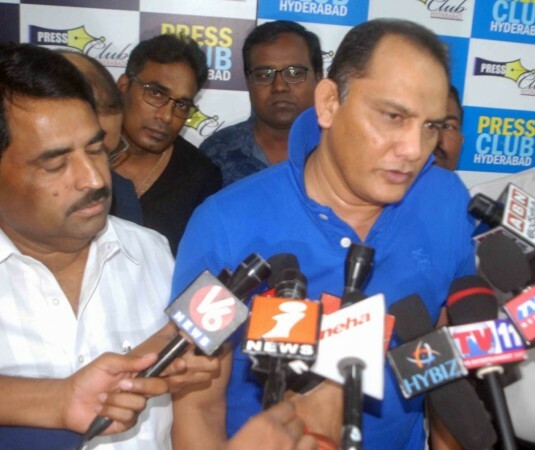 Azharuddin, who hails from Hyderabad, represented Moradabad constituency during 2009-14 but subsequently moved to his home-state of Telengana. Former India opener Chetan Chauhan was close to Arun Jaitley due to his involvement with the Delhi District Cricket Association (DDCA). Having become a member of the saffron party, Chauhan was first appointed as head of National Institute of Fashion Technology (NIFT) and subsequently, sports minister in the UP state government. After being dropped from the Indian national side and being unable to get back into the team, Kaif decided to try his luck in politics. He joined the Congress party and contested the 2014 Lok Sabha election from Phulpur constituency in UP. Phulpur is the same constituency that Jawaharlal Nehru had represented. Kaif's career, however, didn't take off and he went back to cricket. 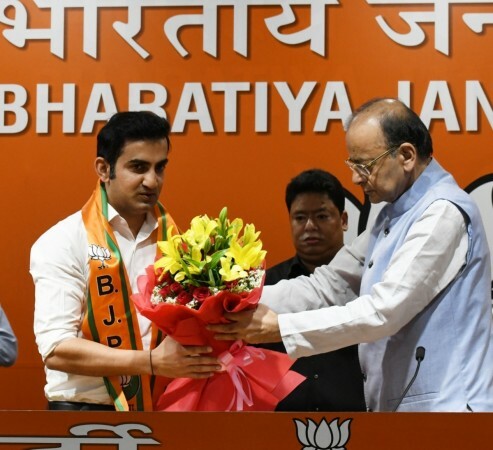 Gambhir had campaigned for Arun Jaitley in Amritsar during previous Lok Sabha elections. This time around, he has gone the whole hog and joined BJP. There was speculation that he may contest from one of the seven seats of Delhi. While that hasn't happened, he has started campaigning for the party in North India. After having suffered a fall from grace due to the spot-fixing scandal, Sreesanth has been trying to revive his public life. One of his acts was to join BJP and contest the 2016 Kerala Assembly elections from Thiruvananthapuram constituency. However, his campaign faltered badly and he ended up losing the elections. Since then, he hasn't forayed into electoral politics. All-rounder Ravindra Jadeja made his political leanings clear when he put out a tweet supporting BJP. In a straightforward message, Jadeja said: "I support BJP." This declaration also got a response from the PM himself as he replied, thanking the cricketer from Saurashtra for his support and congratulating him for getting selected in the Indian team. Interestingly, while Jadeja's wife Rivaba, joined BJP a while ago, both his father and sister joined the Congress. During the 2012 Gujarat Assembly elections, Irfan Pathan was roped in by the BJP to campaign for the party. After appearing in a rally addressed by then chief minister and present-day Prime Minister Narendra Modi, Pathan declared that he was not interested in joining politics. Since then, he has stayed away from actively supporting any party.